If you are a big fan of laser tag parties there are a number of fun glow in the dark activities as well as unique war games to play. If you’ve been playing laser tag for a while it could be time to try out some of these other amazing glow games which can be played in the dark. 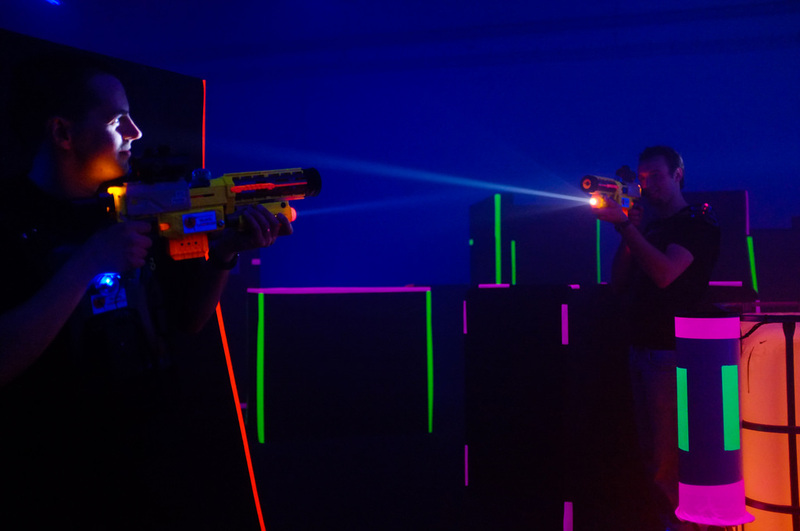 Here are some of the best alternatives to laser tag that you could try. There are several places where you can try your hand at glow-in-the-dark mini golf as well as glow-in-the-dark golf itself. Several courses now have night play available where you can use glow-in-the-dark golf balls and glowing traps/items to play a unique style golfing experience. More people are trying this type of golfing experience regularly if they are fans of regular golf and while it is available at just a few full sized courses, glow-in-the-dark golf balls can often extend your play during twilight hours. Glow-in-the-dark mini golf however can be found in almost every major city so this can be a fun experience over traditional laser tag. Arm yourself with plenty of glow sticks, florescent tape for your gloves, the bats and for the bases and you can create a unique softball experience. Using glow in the dark items to play softball in darker conditions can be a real challenge but it is definitely a lot of fun on a summer evening. 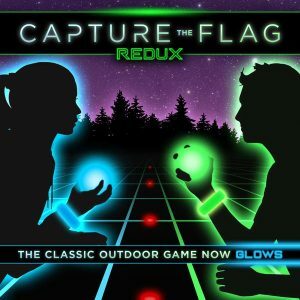 It’s a reimagining of the Capture the Flag game but experienced with LED lights and played in the dark. This glow in the dark game equipment is far easier to set up than laser tag equipment and everything is 100% reusable and battery operated. It’s an awesome way to get everyone active and having fun. Red Rover remains quite a popular game amongst kids and adults and it doesn’t involve any laser tag equipment! Line up two teams on opposite ends of the playfield and have all of the players wear their best glow sticks and glowing bracelets. Have players run across the field and try to break through the chain of hands on the other team with their body. One side will call out names of the player that they want to call over for this game in the same traditional way. Using glow sticks are florescent tape you can identify the areas where the hands are linked together so that players know exactly what to run into. 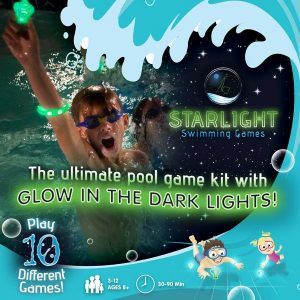 For those of you who are lucky enough to have a swimming pool, Starlight Swimming is a glow in the dark swimming game we developed that makes playing in our pool at night super fun. Consider some of these top games as an alternative to traditional laser tag. 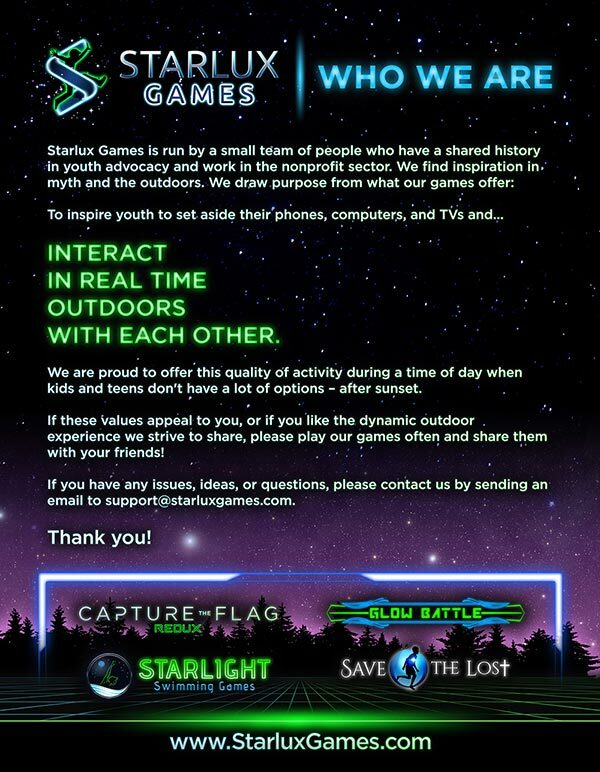 Remember that any one of these glow-in-the-dark activities would make a welcome change to your traditional laser tag play.